This was a an average but ultimately disappointing read from an author whose short stories promised something more. ‘A Kind of Reality’ had an interesting narrative style, completely unengaged from the tragedy that occurs in the story, To Live, however, seemed derivative of a lot of the scar literature I read as a teenager, like Wild Swans, Life and Death in Shanghai, and Falling leaves return to their roots. Not that these books were bad, it’s just that I expected a more interesting technique from Yu Hua than a more or less straightforward narrative, although Yu Hua distinguishes his story somewhat in being less critical of the Communist Party than other novels in the genre. 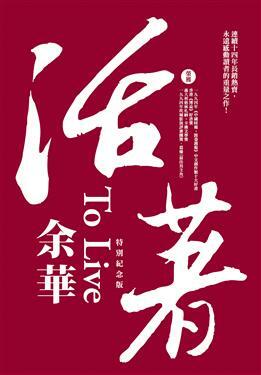 The almost Job-like persistence of Fu Gui, despite the death of his entire family brought to mind the determinism of the New Taiwanese Film wave, particularly films like Dust in the Wind. Although I identify more with the outlook of Steinbeck at the end of Grapes of Wrath or Hemingway at the end of A Farewell to Arms.